Release Date:07/27/2018;Notes:Limited blue colored vinyl LP pressing in gatefold jacket. Original soundtrack/score composed by The Album Leaf's Jimmy LaValle. The Endless is a 2017 American science fiction horror film directed by Justin Benson and Aaron Moorhead and written by Justin Benson. The film premiered at the Tribeca Film Festival on April 21, 2017. 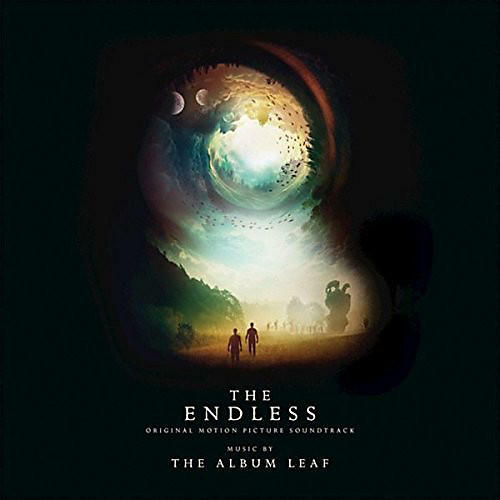 The Album Leaf is an American solo musical project founded in San Diego, California in 1998 by Jimmy LaValle. He is known for his use of electronics, synthesizer and Rhodes piano. His performances often feature projected visual art. The film follows two brothers who receive a cryptic video message inspiring them to revisit the UFO death cult they escaped a decade earlier. Hoping to find the closure that they couldn't as young men, they're forced to reconsider the cult's beliefs when confronted with unexplainable phenomena surrounding the camp. As the members prepare for the coming of a mysterious event, the brothers race to unravel the seemingly impossible truth before their lives become permanently entangled with the cult.